Recent research into the mechanisms driving anxiety and social phobias now turn conventional drug treatment with SSRIs on its ear. Turns out these mental health problems are not due to low serotonin levels as previously thought. They’re linked to high levels! If these findings are taken as seriously as they should be, the mental health field is in for a major overhaul. 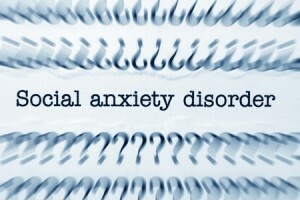 Social Anxiety Disorder is NOT a disease. There is no drug that will “fix” it because it is a focus, and a way of thinking that is at the root of the problem. Granted, a malfunctioning gut that has been ravaged by antibiotics may fail to produce enough “feel good hormones” at times when a person is in situations social or otherwise that cause them to experience stress. In my own case I fully remember the days when my gut would clench whether I was anxious or SIMPLY EXCITED. Same reaction. Instant indigestion. Any stress or new situation, any variation in my daily routine would totally disrupt my digestion. While some of my clients over the years would describe a clenching in their chest area under anxiety stress, MOST anxiety suffrerers I’ve worked with describe an instant GUT Clench reaction. So the question is, how to manage the reactivity to situations that trigger anxiety without dangerous drugs? Don’t get me wrong, at times I WANTED to take the drugs. But I had no health insurance so I was FORCED to find other methods of resolving my own anxiety. And now it is clear the drugs are at best a dead end and a waste of time and money. At worst they can mess you up REALLY badly and cause you to do harm to yourself and others. Isn’t it time to explore NON drug solutions to anxiety? I’ll be sharing my own findings in my new course, “CRUSH anxiety FOREVER! Long Term Anxiety Solutions” as well as my other new program, “CRUSH anxiety NOW! Immediate Anxiety Relief”.